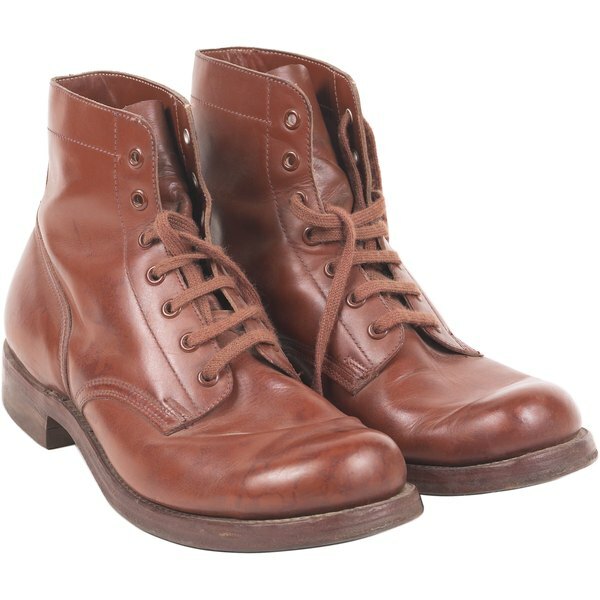 Many classic boots use grommets to protect the leather from the laces. Grommets are metal circles that line the edges of holes in fabrics and other materials, protecting them from tearing and fraying. Boots use grommets to reinforce holes for laces. The laces thread through the grommets to hold the boots closed. Sometimes, a grommet isn’t installed correctly or the edge of the metal bends and the grommet falls out of the boot. Threading laces through the hole without a grommet can stretch and tear the leather. It is a simple procedure to replace a missing grommet. Open the grommet kit. The kit has a punch, a base and a spreader. Since the boot already has a hole, you will not need the punch. The base is a circle with a depressed ring. The spreader is a small cone-shaped peg. Place the base from the grommet kit on the work surface. Place the male grommet on the mase. The male portion of the grommet has a long center section. Place the hole in the boot over the center section of the grommet. Place the outside of the boot down so that you are working on the inside of the leather. Slide the female portion of the grommet onto the center of the grommet on top of the leather. Place the spreader so that the narrow part of the cone lies in the center of the grommet. Hit the back of the spreader with the hammer to spread the center section of the grommet and seal the grommet in place. Check the center of the grommet to ensure that all the edges are spread and the grommet is secure in the leather. It is vital to choose grommets that match the other grommets in the boot. Replace grommets on a sturdy work surface that won't be marred if you miss with the hammer.